Beyoncé was right when she asked — and answered — “who run the world? GIRLS.” That’s right, Lady Power! While we historically might not always get the respect we deserve, Rhode Island quite literally wouldn’t be the same without our human Wonder Women. In honor of Women’s History Month, we took a look at some amazing local ladies. Read on for Part One of a two-part series, with Part Two coming soon. Back in the day, Massachusetts was … messy. 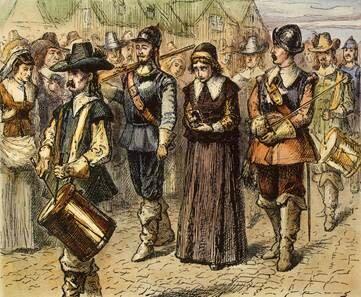 Before they became infamous for burning witches, the Puritan’s spent their time prosecuting anyone who thought differently than they did. Roger Williams (Puritan turned Baptist) had already had enough and worked with the Narragansett Indians to form what we now know as Rhode Island. In comes Mary. Roger was promoting original thought and other fun stuff, but he needed more friends — I mean, someone has to bring the green bean casserole to the potluck! Mary would travel up to the Boston area and spread the message of Roger’s cool new, super chill club. This did not go over well across the border, and Mary was repeatedly banished for being an RI-Recruiter. But nobody puts baby in a corner. Mary was brilliant, she’d wear disguises and continued to spread the hype. She traveled back to England a few times to promote the Quaker religion and Rhode Island, but was eventually caught in Boston. The governor announced at her trial that she would be hung, and she replied "Yea, and joyfully I go." Sick burn, Mary. 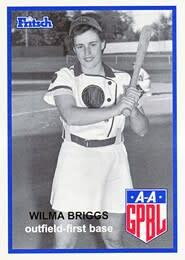 The coolest part about Wilma is her “can’t stop — won’t stop attitude.” She missed the tryouts in New Jersey because she was graduating from high school, so her parents packed up the car the next day and drove to Fort Wayne, Indiana, where she took the position of right field. She played with the Fort Wayne Daisies from 1948–1953, and was later traded to the South Bend Blue Sox in 1954 (which was the last year of the AAGPBL). Wilma wasn’t just a baseball player, she went on to teach for 23 years at Wickford Elementary School in North Kingstown until 1992. Wilma currently lives in Wakefield and probably has some pretty cool stories about Tom Hanks. Her first husband was a doctor, and after his death she traveled around New England teaching women anatomy and physiology. Her goal was to inspire women to become physicians. 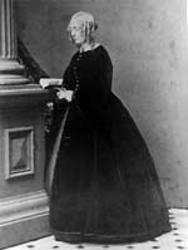 In 1850 she and her girl gang hosted the First National Women&apos;s Rights Convention in Worcester, Massachusetts, at which she presided and delivered the opening address. This wasn’t her first (meeting planning) rodeo. After she and her late husband quit their church for its support of slavery, they subsequently planned and hosted an Anti-Slavery Convention in Utica (note: women were allowed to vote in these meetings!). She was besties with people like Frederick Douglass (former slave-turned-abolitionist-turned-politico) and Henry Brewster Stanton (co-founder of the Republican Party). I heard she made a really mean cocktail, too.